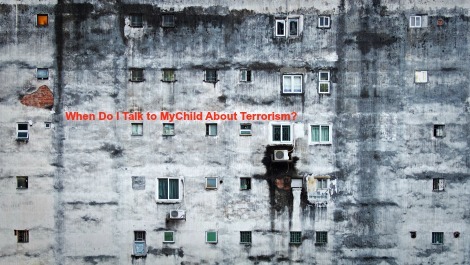 When Do I Talk to My Child About Terrorism? “ Do you know what a terrorist is? “Well, what do you think it is? Ms. MMK and I are generally not the type to bring up the news to our kids. Why worry and upset them? Why not let them be a kid whose biggest worry is who to play with at recess and who will win at the Kids Choice Awards? But, they’re getting older and shielding them has grown more challenging. Besides, the pictures and stories and analysis of what occurred in Brussels is all over the television. SJ was bound to hear something, even if it didn’t make sense to him. So, I decided to talk to him. I come to you in defense of homework. It seems homework has gotten a bad reputation, and some believe it should be banned from elementary school. I beg to differ. 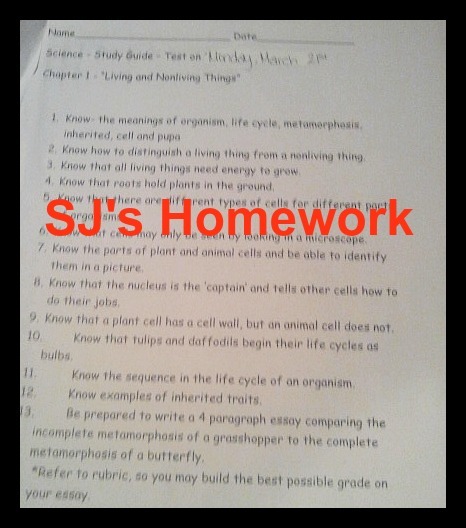 The Today Parents website posted an article by Heather Shumaker entitled ‘Here’s why I said no to homework for my elementary-aged kids.’ Ms. Shumaker makes a persuasive argument. She noted a review conducted by Dr. Harris Cooper, a psychologist and neuroscientist at Duke University. Dr. Cooper reviewed 180 research studies and found that homework has no evidence of academic benefit for elementary school students. Who Cares About The Kids in Flint? You read about so much in the news that you can’t do anything about. It’s overwhelming and leaves you shaking your head and sighing. But the Flint Water Crisis is different. At least Ms. MMK thought so. Therefore, she decided to do something about it and make it a teachable moment for our son SJ. 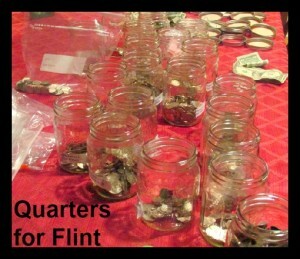 It was a couple months ago when Ms. MMK first read about the Flint Water Crisis. She was horrified. SJ was nearby, and she decided to tell him about it. He understood enough. “Their water is like poisoned – people need water in life,” he said. SJ has been sick this week. Nothing serious – just a cold. He only had to miss one day of school. He spent the entire day in my bed. 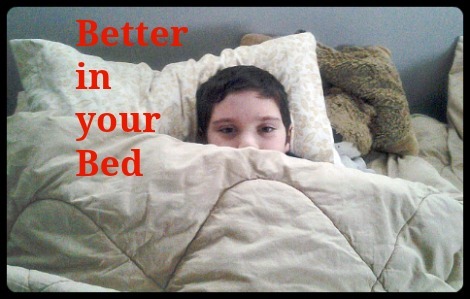 Why wouldn’t he – it’s all better in my bed.